Wales is working towards becoming a Circular Economy – a model which encourages keeping resources in circulation instead of them being burned or ending their life in Landfill. 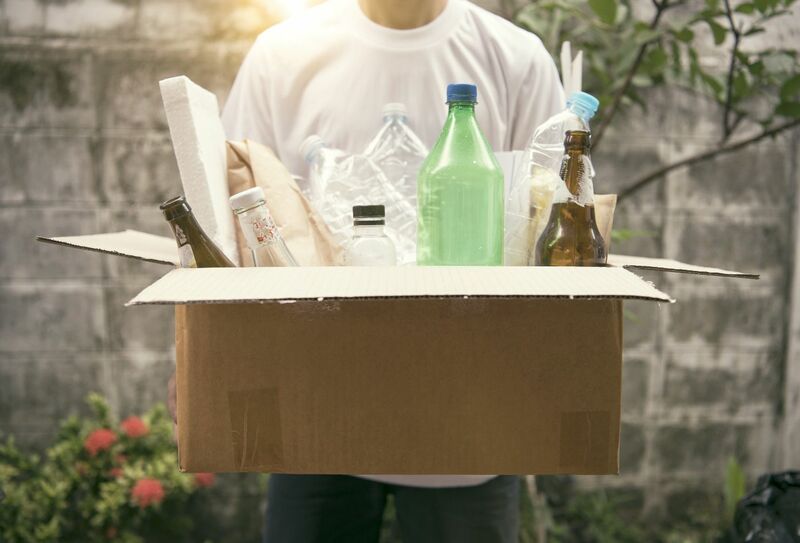 Wales already leads the way in the UK on recycling rates but it has a long way to go to reach its milestones of 70% recycling by 2025 and 100% recycling by 2050, as set out in the Welsh Government’s waste strategy Towards Zero Waste. What is the difference between a circular economy and a linear economy? In the UK, we've tradionally used a linear economy, which can be summed up as 'make, use, dispose'. Instead of disposing of products after use, a circular economy reuses them to get maximum value from the materials. So the process is 'make, use, dispose, recover, recycle'. The circular economy model has the potential to provide significant cost benefits for Welsh businesses as well as saving the economy money and creating jobs. However these targets are a long way in the future, what can you do to make a difference now? Your challenge is to identify a plastic product that you use regularly and develop into a business idea to re-use the plastic. What will Judges will be looking for? Judges will be looking for influence on the business idea from your subject/study area as well as ideas on how you would market/ advertise your product or service. It is important that your business idea can make money! Tell us about your recycled product? Who is your target market and why will they want your product? Why do you think it will be successful? What makes it 'great'? Suggested format: Google Docs (2 sides A4 max). Be creative, use images and diagrams! How will your idea make money? Are there production costs or day to day expenses you need to cover? Where is the money coming from to pay for this? This can be shown in many ways as judges are aware that students will have different levels of financial skills. Suggested format: Google Sheets – max 2 pages A4). Sell your idea in a 5-minute Dragons Den style pitch. How will your pitch be innovative, original and inspiring? How can you bring the idea to life for the judges? Your sale pitch can be recorded using your phone, but remember to stick to the time allowed. The top team will represent Coleg Cambria at the final on 1st February 2019 in the Senedd, Cardiff. Coleg Cambria A Level Business students win Global Enterprise Challenge - fighting off competition from all over the world. ALL ENTRANTS WILL EARN A COLEG CAMBRIA DIGITAL BADGE! To acknowledge and promote the skills you have learnt to potential employers and universities.